Margaret Thatcher’s iron-fisted rule over 1980s Britain prompted waves of political protest. Perhaps the most amazing response of all occurred when Welsh coal miners and London lesbians and gays found a common cause. 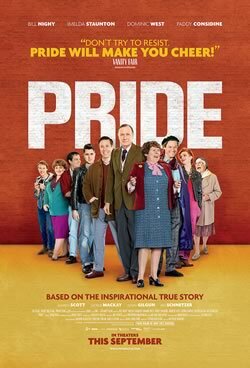 Pride tells the story of that unlikely alliance; it was never obvious, but it sure looks like fun. Nominated for the Golden Globe for Best Picture (Comedy or Musical).